Polish beer & Silesian cake - Polish Tours & Travel Agency - Greetings from Poland! Your group arrives to any Poland airport (Warsaw, Krakow). Next, departure to Silesia region located in Southern part of Poland. Lunch on your way, and depending on a travel time and your landing place an optional visit to the Czestochowa – Jasna Góra monastery with the famous Black Madonna icon. Afternoon transfer to your hotel-palace located in Silesia. Regional dinner and first overnight stay at a hotel during your Poland tour. Breakfast followed by a trip to the open-air museum in Opole-Bierkowice, presenting Silesian folklore and architecture. You will take a part in a lesson presenting the process of obtaining bread. Next, your lunch will take a place in a regional inn. Afternoon trip to village in the Opole region to learn more about famous “swiniobicie” (pigsticking) tradition*. Your country dinner held in a farm offering local cuisine. An overnight stay at the hotel. Breakfast and next, departure to the Upper Silesia for a visit at the Tyskie or Zywiec brewery – two the most famous breweries for well known beers – “Zywiec” and “Tyskie”. A guided tour with a beer sampling part for adults. Lunch in a local restaurant. Later on transfer to Wadowice – the hometown of Karol Wojtyla – pope John Paul II. A short tour of Basilica where he was baptized. 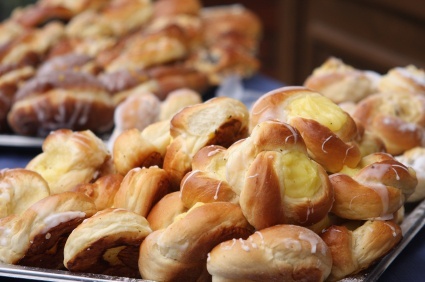 Later you will taste the famous “kremówki” (cream pie), known as a pope’s favorite dessert. Transfer to a hotel-palace near Cracow. Dinner and an overnight stay. Breakfast and transfer to any airport for your return flight or next part of your Poland travel. Tour date: any date – on your group request. if you have smaller or larger group send an extra request to get best price for you ! – local tax and VAT.